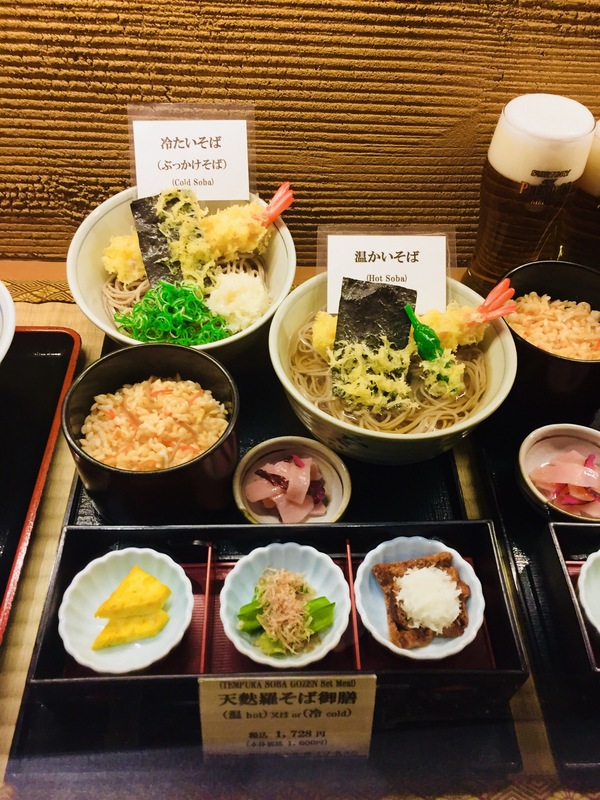 Having visited the city on a holiday recently I have put together 10 photos that I think give an overview of Kyoto in Japan. We were lucky enough to be there in July when the Flower Parade /Festival was on. 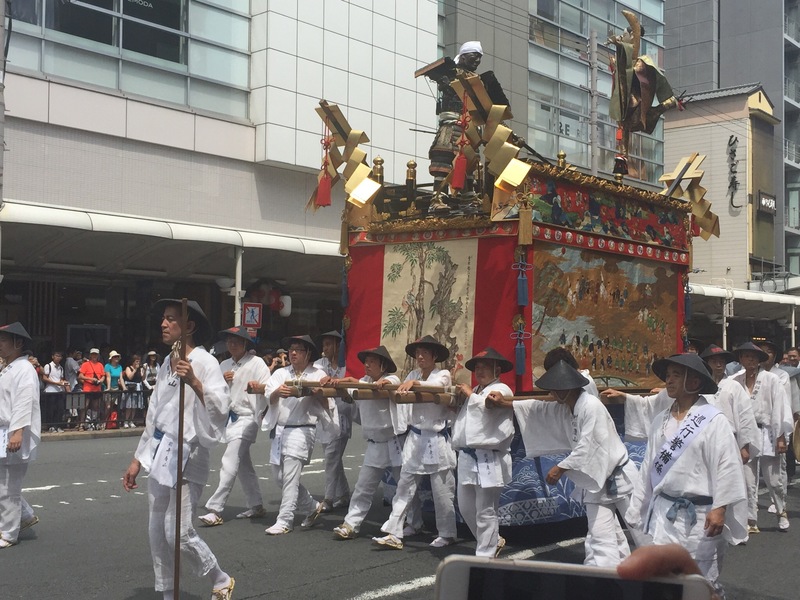 The event is stunning, so if you get to Japan in July try and visit. Be warned summer in July is incredibly hot though. It’s a great place to stroll especially in the old town where you maybe lucky enough to see geisha girls. 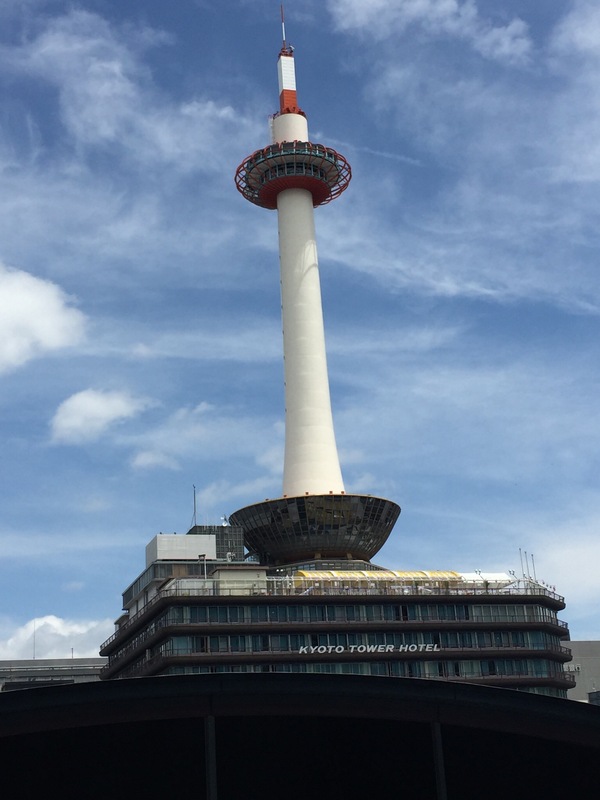 The Kyoto tower is directly opposite the train station so easy to visit. The July parade and one of the floats. Another of the summer parade floats. 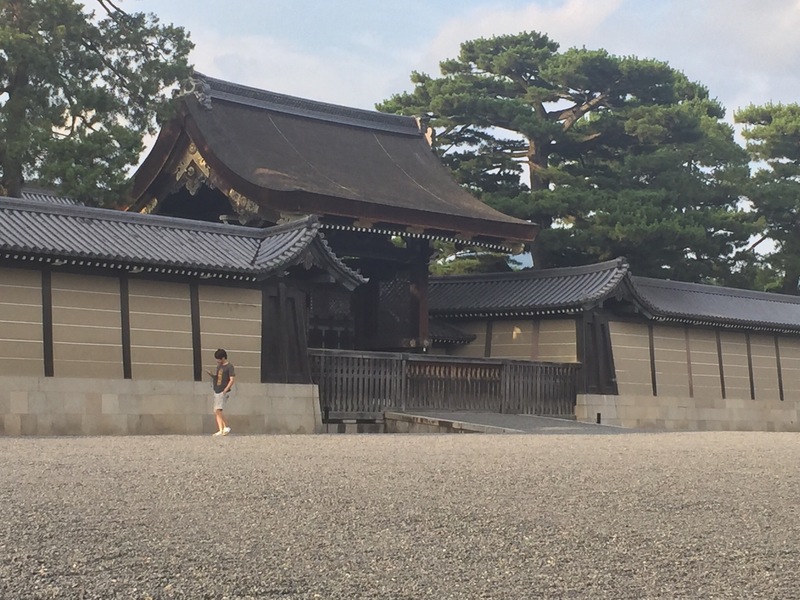 The Imperial Palace was not open when we visited but it’s in a large park and very easy to find. 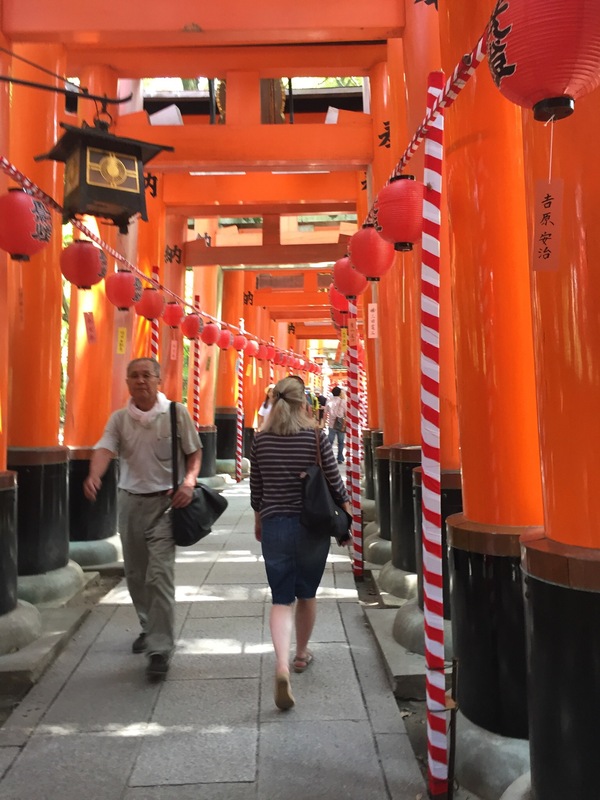 A short train ride out of Kyoto is the Fushimi Inari shrine. 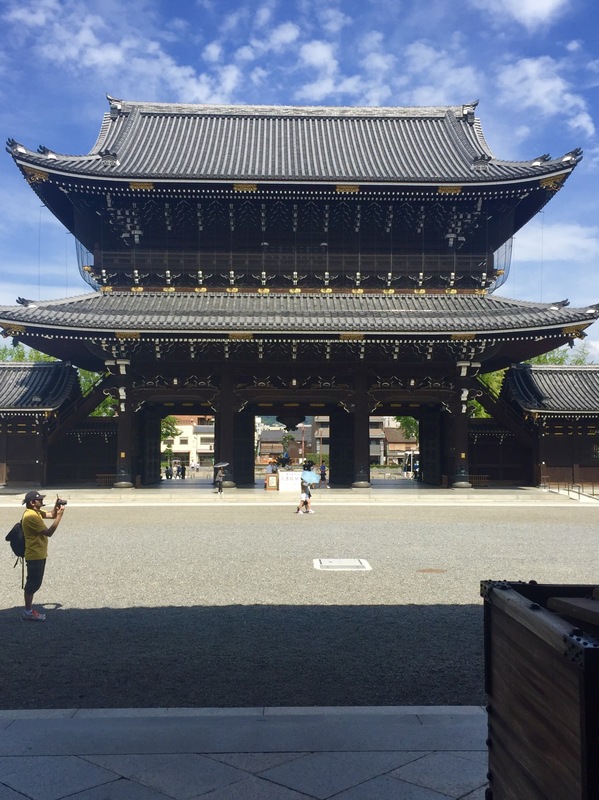 It’s sacred temple that has over 1000 Tori gates built into the side of the mountain. The walk is very tiring but well worth it. 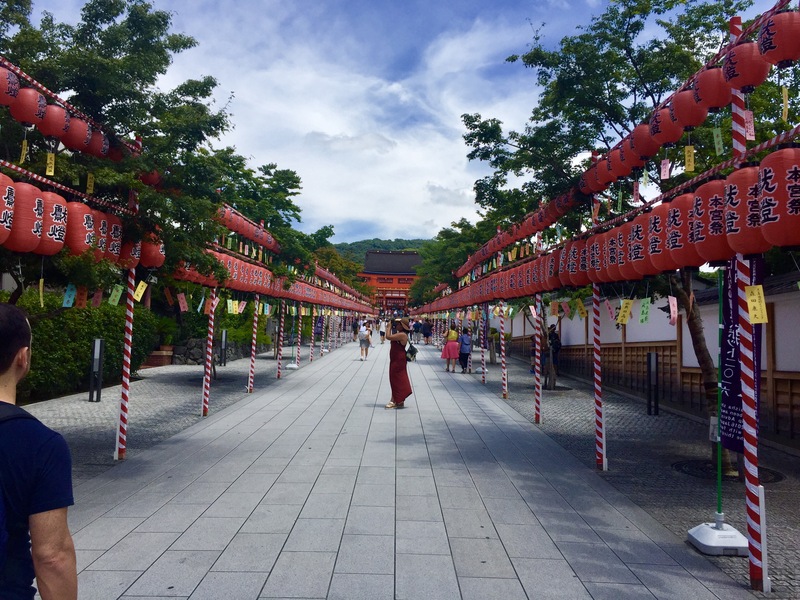 Some of the Tori gates at the Fushimi Inari shrine. 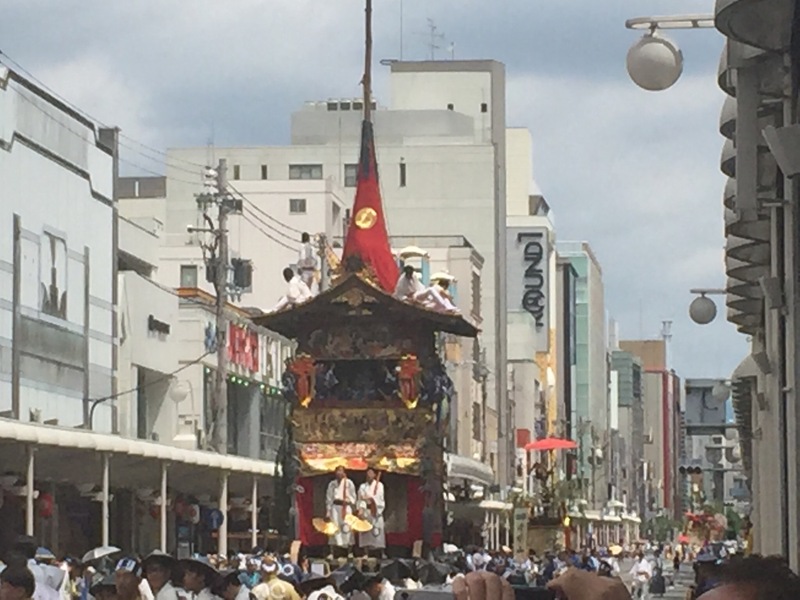 The Higashi-Hongan Ji Temple is about a 10 minute walk from the station. It’s a very peaceful temple made on a grand scale. 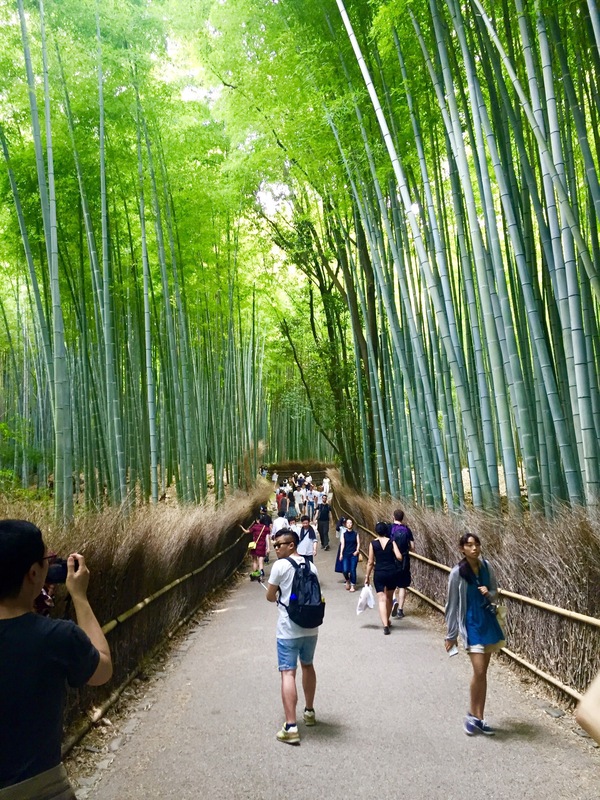 The bamboo forest is about 30 mins by train from Kyoto station to Arishiyama station, where the forest is located. Don’t miss this. Plastic meals are seen often in some of the larger restaurants. They look very good and almost edible . 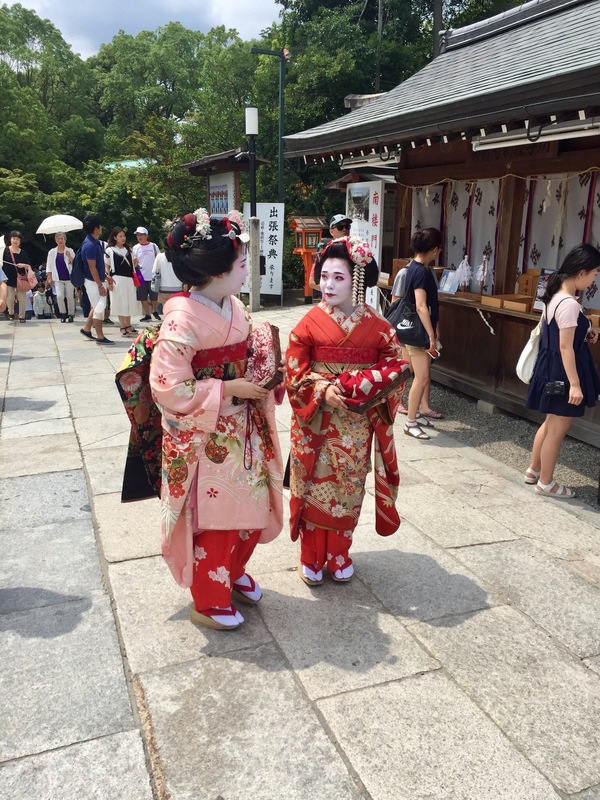 You can see maiko who are like student geisha and real geisha (more sophisticated less ornements) and also many foreigner dressing up for a photo shoot and walking around. Thanks for he comments. Yes I noticed these also. Lovely city kyoto.